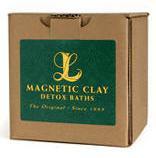 The Smokers / Drug Detox Clay Bath may assist in eliminating cadmium, tobacco residues, pharmaceutical drug residues, recreational drug residues, food preservatives, hexavalent chromium, hydrogen cyanide, nicotine, lead, arsenic, and more. As well as being helpful for those who have just given up smoking, this bath can also be used as a foundational therapy for overcoming addiction in smokers and recreational drug users. Cigarette smoke, recreational and pharmaceutical drugs, dental alloys, batteries, cadmium hardware, refined cereals, colas, copper refineries, fertilizers, fungicides, refined grains, rubber, plastics, marijuana, evaporated milk, motor oil, oysters, paint, pesticides, processed foods, rubber carpet backing, vending machine soft drinks, municipal ground water, welding material and more. Bronchial disorders, lung disorders, headaches, heart problems, anemia, high blood pressure, kidney and liver disorders, learning and behavioral disorders, cognitive decline, memory impairment, and more.